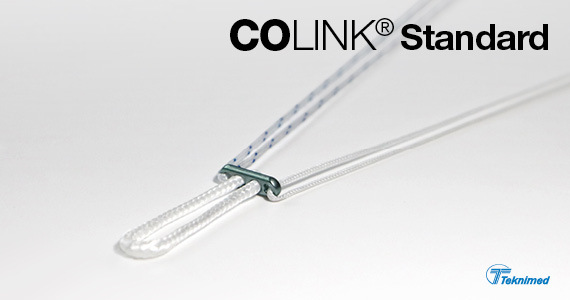 COLINK® Standard fixation device offers one of the strongest soft tissue femoral fixation currently available. 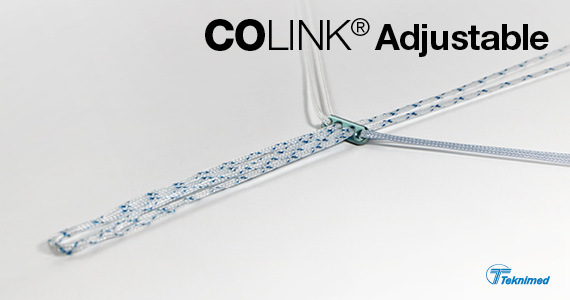 COLINK® Adjustable fixation device offers leading strength and incorporating a unique cradle design to help protect the graft during loop reduction. 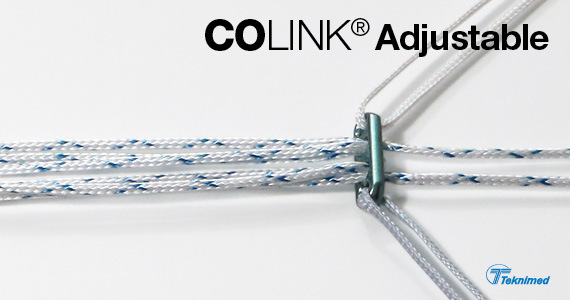 Ideal for primary or auxilliary fixation ACL or PCL reconstruction techniques. Preloaded with UHMWPE suture and flipping suture for added procedure efficiency. Can be used in Single-Bundle soft tissue fixation; Double-Bundle soft tissue fixation; Bone-Tendon-Bone fixation. 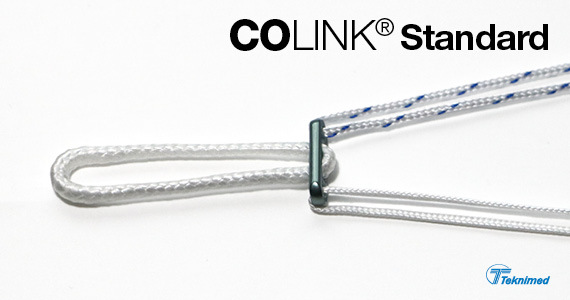 Use in the fixation of bone and soft tissue in orthopedic procedures requiring ligament or tendon reconstruction.